With luxury amenities, athletic style, and sporty performance, the 2019 Buick Encore is the small SUV you’ve been looking for. The vehicle comfortably seats up to 5, and the 60/40-split rear folding seats create up to 48.4 cu. ft. of space to haul your cargo with ease. With the push of a button, you can start the 138-hp 1.4L 4-cylinder Turbo Engine and be on your way. 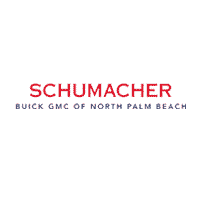 Find your new Encore at Schumacher Buick GMC of North Palm Beach, FL.